A quirky puppetry performance for families travels to the Arts Centre Melbourne this August, all the way from Bonnie Scotland. The Secret Life of Suitcases follows the story of Larry, a man who loves nothing more than working in his office, putting everything in order. Larry is a sorter and tidy-uper, who likes everything to be in its right place, however, Larry's world gets turns upside down when a mysterious suitcase arrives at his door one day. 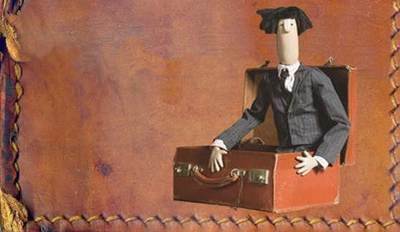 The mysterious suitcase flies Larry on an fantastical journey where he and audiences alike, discover the thrills of adventures to far away places, and relish in the joys of coming home again. 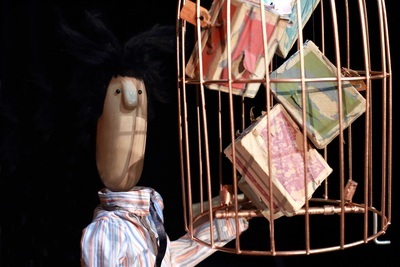 This enchanting tale, originally co-produced by the Unicorn Theatre, London, is a collaboration between Edinburgh based puppeteer, designer, illustrator and maker Ailie Cohen and playwright and director Lewis Hetherington. Ailie Cohen has worked with the National Theatre of Scotland, Grid Iron, TAG, The Citizens and Vanishing Point. She is an associate artist of Edinburgh’s Puppet State Theatre Company, having collaborated on The Man Who Planted Trees which has toured worldwide since 2006. Lewis Hetherington is a Glasgow based playwright and theatre maker. The whimsical tale of The Secret Life of Suitcases makes up part of the Arts Centre Melbourne's Winter/Spring Families and Arts Learning programs. This program was launched in August 2009, and has since grown to become a highly respected national program. 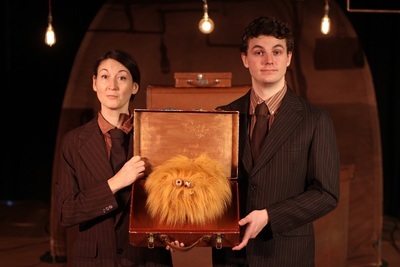 Don't miss the magical, poetic tale of The Secret Life of Suitcases at Arts Centre Melbourne this Winter, performing in the Fairfax Studio on 12 - 13 August. Recommended for children age 4 plus.